Hero Mecha ☆ Dreams in AKIBA Daisuki Festival 2013 Summer took place at Bellesalle Akihabara in Tokyo on July 28, 2013. Eight robots joined the competition. It was possible to order of the song when robot entered the ring. 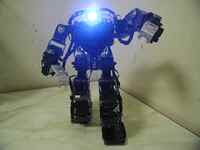 The main regulation for robots joined was to wear the hero robot exterior of SUNRISE such as GUNDAM. Robot could use a gun and if the bullet from the gun hit the opponent, Robot got one-down. 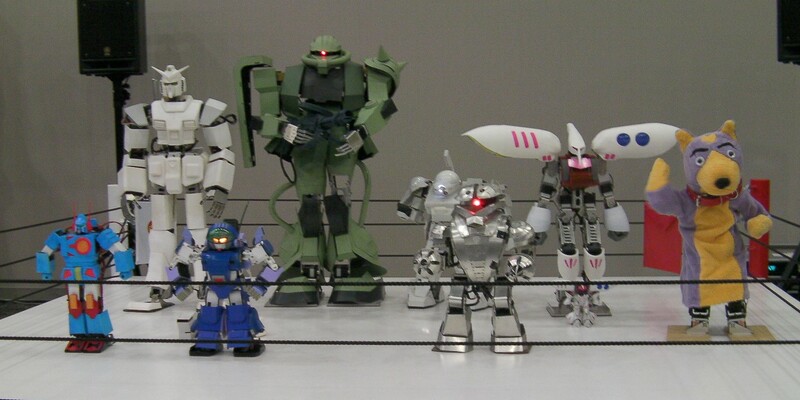 The other robot fight regulations were the same as the ROBO-ONE Tournament. 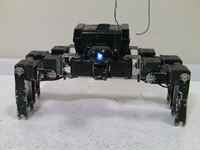 Hero Robot competitions such as `SUNRISE Hero Robot Battle` (S.H.R.B) in INTERNATIONAL ROBOT EXHIBITION 2009 (Nov. 28th, 2009) and Okawara-Mecha Battle Tournament (Feb. 18, 2012) are also reported in this blog.